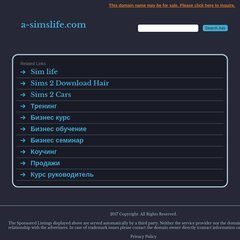 Topics: Themeslist, Sim Models, Joo-see, Gameplanet, and Nidzumi. On average 1.90 pages are viewed each, by the estimated 47 daily visitors. It is hosted by Aruba S.p.a. - Shared Hosting And Mail Services Soci, using Microsoft-IIS/6 web server. Its 2 nameservers are dns2.technorail.com, and dns.technorail.com. The programming language environment is ASP.NET. PING www. (62.149.130.61) 56(84) bytes of data. A ping speed test response, is timed at 138 ms.